If you care about battery storage and distributed energy in Australia, you’re probably aware that a number of battery incentive programs are now available through various state & territory governments (not counting the federal Labor party’s election promise). Interestingly, they are being delivered by governments from both of the major political parties – a fair indication of which way the winds are blowing longer-term. SwitchDin sees the introduction of these programs as the beginning of a wave that will speed up the (now unstoppable) transformation of Australia’s energy ecosystem. Especially encouraging is the fact that a number of these schemes go beyond simply incentivising batteries for homes, taking steps to ensure that batteries (and other devices) can be controlled and coordinated to provide grid services or to participate in energy markets. We’ve put this list as a stocktake of which governments are now offering programs to bolster uptake of home battery storage. The ACT is also running a 250-home VPP pilot program involving a subset of homes that have installed batteries under the Next Generation program, and is home to a lithium battery performance testing lab. South Australia was the first Australian state (besides the ACT) to introduce a statewide battery incentive – the Home Battery Scheme – under the current Liberal government. The program will provide $100 million in funds to support the installation of up to 40,000 home battery systems. Even after a flurry of similar programs in other places, the SA program remains one of the most generous in the country, offering a subsidy of $500-$600 per kilowatt-hour (capped at $6,000) instead of a flat amount where size doesn’t matter. In order to receive the subsidy, battery systems must meet ‘virtual power plant ready’ criteria set out by the government. This program is separate from the ambitious (and headline-grabbing) SA Virtual Power Plant project, which could include battery systems for up to 50,000 households. In the run up to the recent election, the incumbent Victorian Labor government introduced a series of major energy initiatives; the implementation of several of these were contingent on Labor’s being returned to government – which it was. With this, the second most populous state now has one of the most ambitious renewable energy agendas in the country, with a 25% target by 2020 and 40% target by 2025. SwitchDin is building the enabling platform for the distributed energy system of the future. 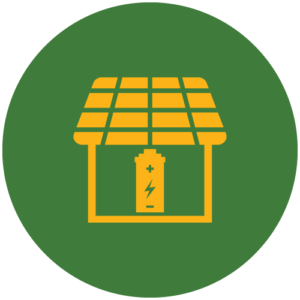 SwitchDin integrates inverters, batteries, power meters and other controllable devices to enable vendor-agnostic virtual power plants and microgrids while providing monitoring & control to end users & fleet managers.